Flexibility in the real estate business is something that’s necessary, given the rapid pace that can often develop during the course of a single day or week. With potential multiple sales that can take place at virtually the same time, a steady cash flow becomes vital in maintaining the viability of a company or individual investor. Such priorities demand having a source to obtain a real estate advance on commission. The lifeblood of anyone that makes a living selling real estate is the commission, which is something that rarely comes right away. The commission might also be delayed because of any number of reasons. That can create a huge hassle for a real estate professional since they need to be able to handle a variety of expenses during the course of any sale. Without the funds available to cover those costs, such sales can quickly disappear. However, by obtaining commission loans, that flexibility is restored with a commission advance agreement. The prospect of obtaining these types of loans through a standard financial institution can be an option. The problem is that the narrow time frame that many real estate professionals face makes this an impractical solution. In contrast to the weeks or months it might take to get that loan, your commission advance agreement is usually something that can be completed in the span of a single day, not to mention other benefits of getting an advance on your commission. With technology now being a standard component in the real estate business, applying is as simple as going online to the website of the company offering these commission loans. Filling in all of the necessary information, something that often takes just a few minutes, which helps expedite the application. Unless a problem develops, the agreement can either be signed in person or the use of an electronic signature will be sufficient. 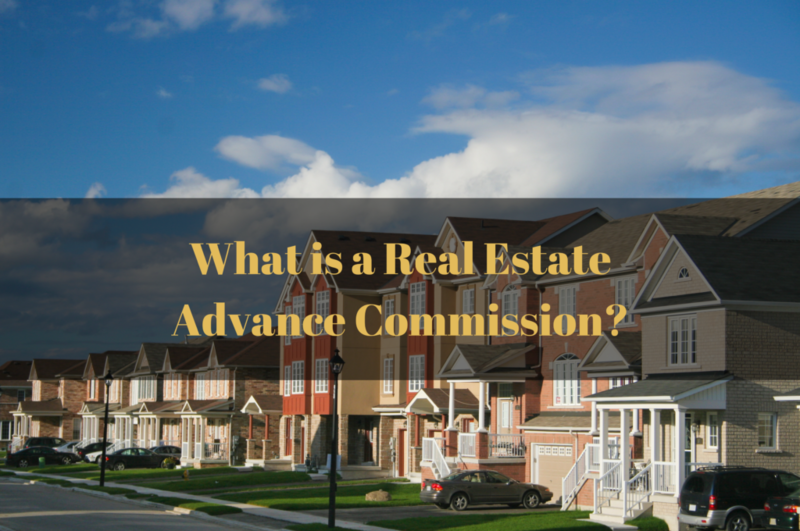 Besides the speed and convenience involved, a real estate commission advance is something that usually comes without any additional fees being tacked onto the final cost of this service. Usually, the only time that such fees end up being assessed is when there’s a delay in the closing date for the real estate deal. In that case, a specific percentage that’s dependent upon the amount of time the transaction is delayed is usually involved, though many companies have a grace period built into the deal. Assuming that there are no issues involved in your deal, the usual fee to obtain this advance tends to be 10 percent of the amount loaned. That’s not necessarily an industry standard, though it does offer a quick commission assessment of what a real estate professional can expect to pay for this convenience. The advance that the real estate professional receives won’t be the full amount, with 80 percent usually what’s received after the commission advance agreement is signed. The remainder is sent after the transaction closes, minus the necessary fees involved, which means that no payments are required beforehand. These payments can be in the form of a check that can be picked up, yet the convenience factor usually means wiring the money to the real estate professional’s bank account. Some companies won’t fund foreclosure transactions or will require additional documentation for short sales. When it comes to transactions that fall apart, the loan can often be applied to a subsequent sale. A real estate advance commission is often an invaluable asset in keeping a thriving realty business on track, with commission loans having become an important facet of the industry.